The Potomac Nationals used three homers to beat the Frederick Keys 8-3 at Harry Grove Stadium and take the three-game set. The P-Nats finished a multi-city road trip with a winning record for the first time in 2012. The Nationals scored the first run of the game in the second inning against Frederick starter Tyler Wilson. Three straight hits culminated with Stephen King knocking in Steven Souza Jr. on a double to make it 1-0. J.P. Ramirez reached on an infield single to increase the lead to 2-0. A double play scored King and gave Potomac a 3-0 lead. The Keys responded with a run in the bottom of the inning against Robbie Ray. Garabez Rosa knocked a RBI two-out single to bring Frederick within 3-1 of Potomac. The P-Nats were able to extend their lead to 4-1 with a run in the fourth on a J.P. Ramirez two-out single to right. 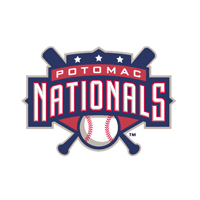 Potomac added another in the sixth with Kevin Keyes hitting a ball off the top of the batters eye to increase the advantage to 5-1 in favor of the Nationals. It was the team-leading 15th homer of the season for Keyes. Frederick used the long ball in the sixth to creep closer. With two outs, Joe Oliveira reached on an infield single. Michael Mosby hit a ball that just cleared the fence in straight away left field: a two-run shot that decrease the Nationals lead to 5-3. A three-run eight from the P-Nats put the game out of reach. Against reliever Matt Bischoff, Ricky Hague hit a monster solo homer to left that cleared all of the advertisements. It was Hague’s sixth home run of the year. The rally continued as Martinson smacked a two-run homer to left to extend the lead to 8-3. Martinson knocked in his 95th and 96th RBI of the year which is the second highest mark in affiliated baseball. Ray (4-7) picked up the win by tossing six and third innings giving up three runs and striking out six. Despite seven strikeouts in seven innings, Wilson (5-5) took the loss giving up five runs.